September is travel month. Well, so far. I visited Canada for the first time and saw some of the countryside and a few cities. We drove up to Coquitlam and saw a beautiful park there, full of everything from sand volleyball to a track. It had a water park, playground, skate park, soccer fields and concessions. Now it also has permanent ping pong tables from my husband’s company, Bravado Outdoors! I have to say I’m a bit jealous of their park – we need more parks like this here in the US. You could seriously spend half a day there with your kids, and it was free. Canada wasn’t that much different from Oregon and Washington, but I noticed a fun accent that seemed to pop up on the end of sentences. The entire drive from mid Oregon up into Canada was beautiful and it didn’t get really hot until our last day coming home. 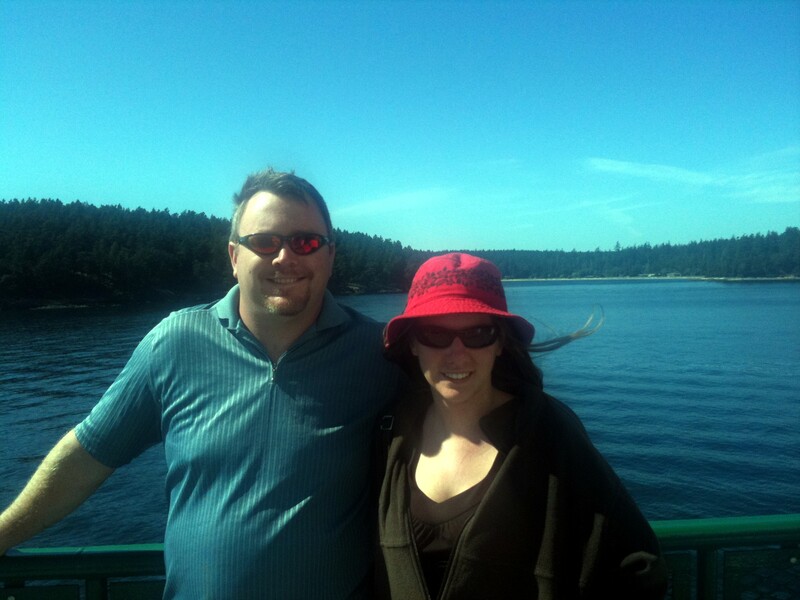 After Canada, we returned to Washington and went to the San Juan islands. This was another first for me, and well worth it. My favorite part was actually the hour ferry ride out to the island and back. I love watching the water, feeling the wind when we went outside and watching for whales. I didn’t see any on the ferry ride, but I was lucky enough to spot one off the Oregon coast about two weeks ago. It was hot in Washington and on the island, but it felt pretty cool and windy on the ferry deck. There were sailboats everywhere – we watched them from the ferry and while we ate dinner in a place overlooking the boats and bay. Check out my previous blog for the Big Giveaway. There’s several blogs hosting a giveaway – check visit them to enter for a combination of print and ebooks from my titles. A Cowboy For Christmas is featured in the Book Junkie Library for September along with two other books. The site lists over 150 authors and 300 books. I’m hoping A Cowboy For Christmas makes the top 1,000 in Kindle this month. We’re getting close! A Flash of Inspiration is free in Kindle. It’s a collection of 100-word stories, including two from me. Wow, that’s a lot of updating for the first week of the month! I’m enjoying the end of summer (and the return of hot weather here) but I’m also looking forward to writing more during the winter hours.